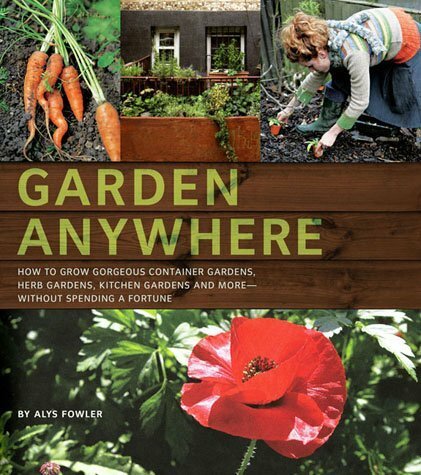 Occasionally, I am asked if I can recommend a reference/book for ideas or plans about the process of creating a new type of garden, whether edible or moving away from lawn. In truth, I pretty much winged it from early on, though I had some clippings of photos from some “small gardening spaces” type of magazines (eg., Better Homes and Gardens). These did not so much provide me with any specific plans, but piqued my interest more for types of perennials, etc. Many of these were not realistic for my space for a variety of reasons. My yard was a clean canvas, so to speak, and I just started choosing flowers and plants that provided different colors (I am not naturally a monochromatic type of person). Each year I tried out something new in the garden, usually a plant obtainable only from a small specialty nursery, often on someone’s private property, rather than retail nurseries. 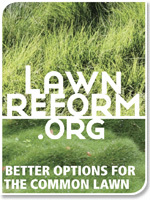 Once I expanded into the edible garden aspect for the front lawn, there were essentially no resources. Perhaps two or three books on the topic of edibles, but again, nothing that appealed. For the most part I just used inspiration and the thoughts that popped into mind. After experimentation for a few years, and being content with the layout of the landscaping, and with having little time outside regular life activities, I didn’t search for newer resources. However, a couple of more recent books were brought to my attention (for my take on the information provided), and I am pleased to see that there are more helpful books and tools for anyone interested in the process. I might not personally find these totally satisfactory, but someone else might. Naturally there is no “one size fits all” and it is helpful to check several resources whenever possible, because sometimes just a single idea or pointer from one book and a few found in another might provide the various pieces to assemble the whole puzzle! More importantly they can help spark imagination and inspiration, from which you create your own unique garden. And “one step at a time” is always acceptable and usually much more feasible! Check out your local library for these and other books, and/or get a peek at them through Amazon.com. The following seem to have appeal and useful potential for a wide variety of garden sizes and situations, urban to more rural. 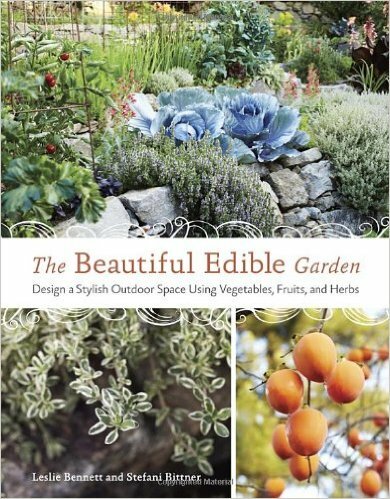 An updated classic by a pioneer in North American “permaculture”, that discusses the concepts of later-termed “sustainable” gardening; combining the aesthetics of edible and non-edible plants, or at least expanding the usability of garden space to provide edibles, and habitat for other creatures. Essentially backyard ecosystems. Easy to read. A very “fun” book written in engaging and easy-to-understand style. I like how the author reminds us that in designing a garden, we are “loving” a garden, which is really the space from which we exist. 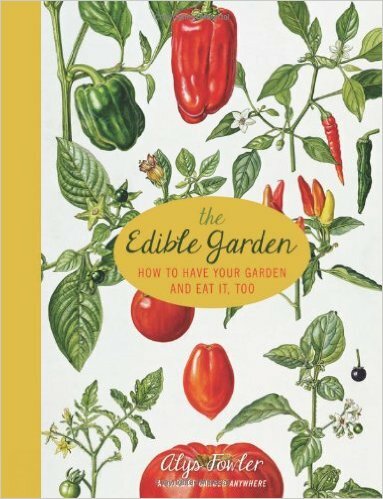 Her more recent book, The Edible Garden: How to Have Your Garden and Eat it, Too, is an updated, condensed version of the earlier book, and includes some recipes. British urban gardens are not necessarily large, but usually have generous space that can be gardened very compactly. Here she gives more ideas for placement of different plants. 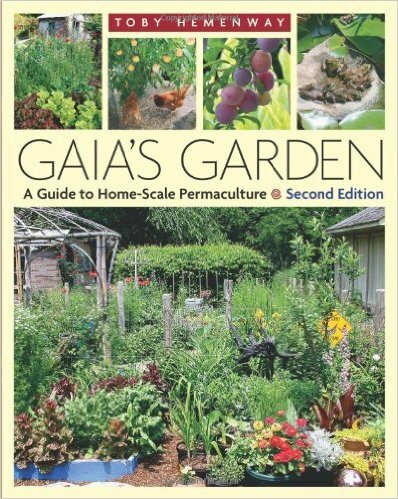 A good little reference with pointers on projects (maybe more information than I’d care for in such a book), and cautionary notes about risks of front gardens in urban areas. 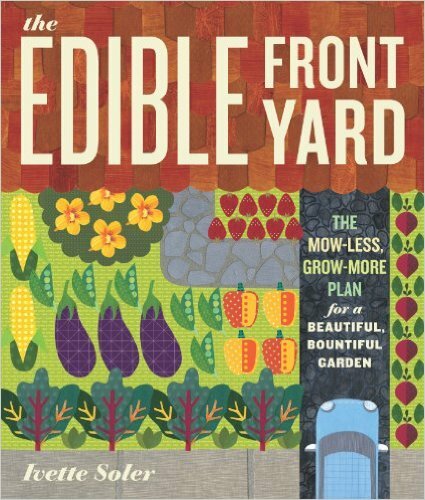 But I give it a lot of kudos for nice pictures and descriptions of many types of eligible edibles! 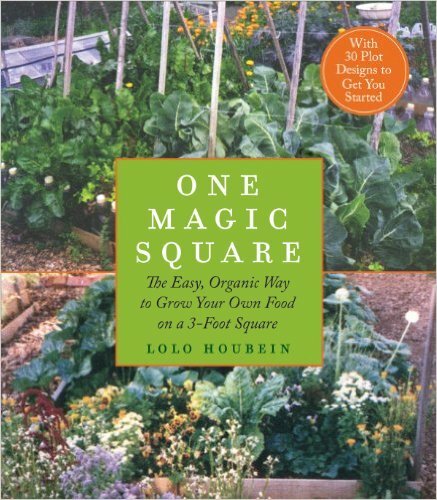 One magic Square, by Lolo Hubein. A good primer for trying out some ideas first on a small scale; I like to remind people, that when using raised beds and small-scale plots, inevitably expansion is something to prepare for, particularly for adequate crop rotation. 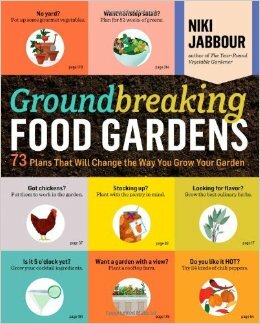 Groundbreaking Food Gardens, by Niki Jabour, is also a favorite of mine, though I haven’t used it. A wealth of information and even more resources to explore. Sometimes I prefer to see both drawings and photos of designs, and this is all drawings, but very well illustrated! More ideas! Even if not amenable to my space or preferences…maybe good for yours?